The subject may well have been harped on by management, consultants and IT teams and this instinctive reaction to tune out is down to poor implementation in the past. Advocates of security awareness are often condescending, are too technical or fail to link practical threat examples to real-world situations. Other failures include a lack of management buy-in. This “do as I say, not as I do” attitude has the opposite of the desired effect, no significant increase in security awareness and a growing employee resentment when management errors in this area are not penalized. It’s not as simple as telling employees to stop clicking on links in emails and in social media, although this is part of it. Requests to reset passwords or requests to update online banking details are designed to gain logon info i.e. fishing for information. That’s why they call it phishing and there are many forms. 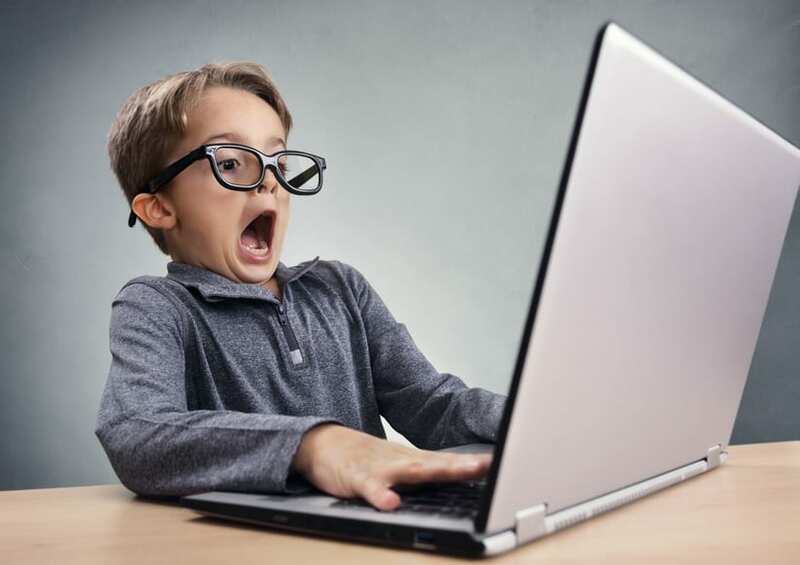 Security awareness is not limited to computer usage but can extend to any form of social engineering – a term used to describe methods of hacking the user or company while avoiding technological countermeasures. Methods can include shoulder surfing (the ‘hacker’ simply gets required information by looking over an unsuspecting employee’s shoulder), dumpster diving (extracting printed documents from the rubbish bins outside) or indeed by gaining onsite network access (perhaps by joining employees who smoke outside and then entering the premises unobserved when they return). Employees who leave their phones or laptops unattended could unwittingly allow a hacker time to install a program that remains inactive until connected to the company network. There are many other examples of social engineering. “Any security awareness training must include social engineering, as many of these threats do not require any IT or computer knowledge. The aim is the same, to gather information that can in turn be used to either hack the employees or the company network. 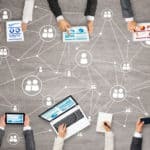 For example, a discarded printout may contain names of senior employees that are then used to send convincing emails to all employees, perhaps requesting them to change their network logon credentials,” said Radosław Janowski, Product Manager. Hackers rarely have positive motives and are generally classed as cybercriminals, with their primary motives being either financial or disruptive. Ones that act on behalf of governments are after classified or proprietary data. Ethical hackers and security companies know their methods and produce countermeasures as new threats are identified. Let’s start with some obvious facts that most industry experts agree on. Hackers will go after the easier targets and hacking the end user is a much easier prospect than hacking the technological barriers that are included in the modern network, whether it involves endpoint protection, AI-related analysis or any other security assets such as firewalls. In the same way, hackers will hack smaller companies as a means of eventually hacking their larger clients or suppliers. This means, YOUR COMPANY IS NOT TOO SMALL TO BE HACKED. Security awareness training takes take time and money and the potential benefits are sometimes ignored, especially by smaller companies. Internal threats are much more difficult to handle than external ones, as most technological solutions are designed to block external network attacks. In conclusion, if you take nothing else from this post, it is that security awareness is essential, a free course is available to all (I’m sure there are others) and that ongoing security awareness training is a must as new security threats are identified. It’s not necessary to spend hours per week on training. Instead make sure that all employees take the initial course for an hour or two then perhaps a half an hour each month will suffice, to advise everyone on new potential threats and to show the attempts that were made the previous month, even the common lottery winner alerts or other email scams. If you foster an “us vs. them” proactive attitude (against hackers) within your company, then every attack that is prevented will seem like a victory for all. IT Partners is a French trade fair organized annually at the Disneyland Paris in Paris, France. 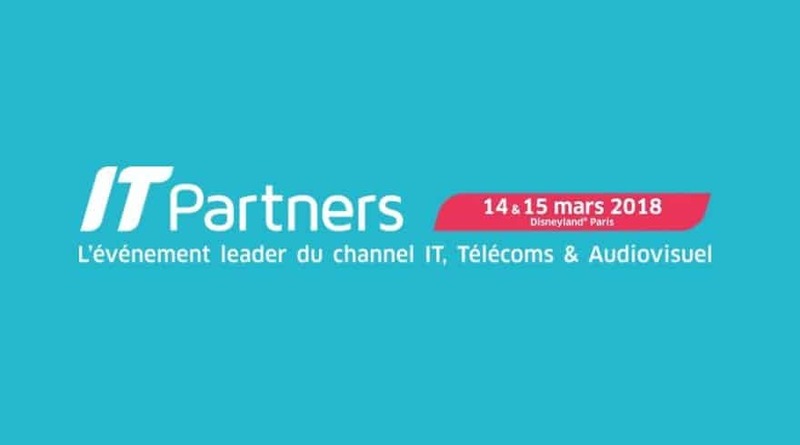 This is a leading event for the French IT channel, telecoms and audiovisual, and includes representatives from global IT markets. It covers a number of areas including infrastructure, software and services, mobile communications and networks and the Internet of Things. 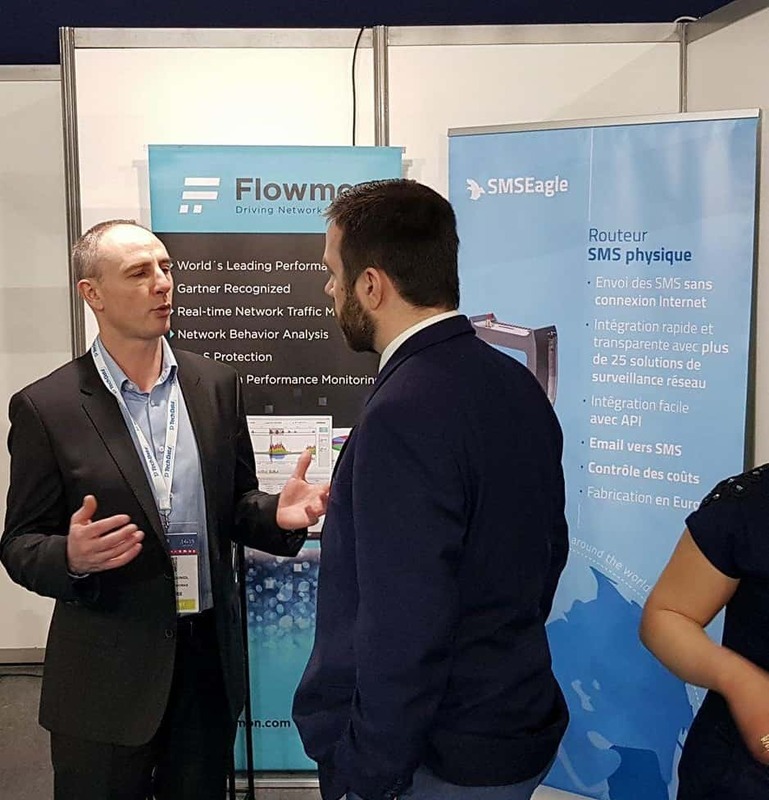 This year on 14th & 15th of March SMSEagle was presented at the fair in the booth of our French Sales Partner NMS Distribution. Photo of NMS Distribution team with Solarwinds, Flowmon and SMSEagle. Business continuity (BC) and disaster recovery (DR) are not the same thing, although there are some common characteristics. A BC plan is designed to include all departments in a company, but a DR plan is often focused on restoring the IT infrastructure and related data. 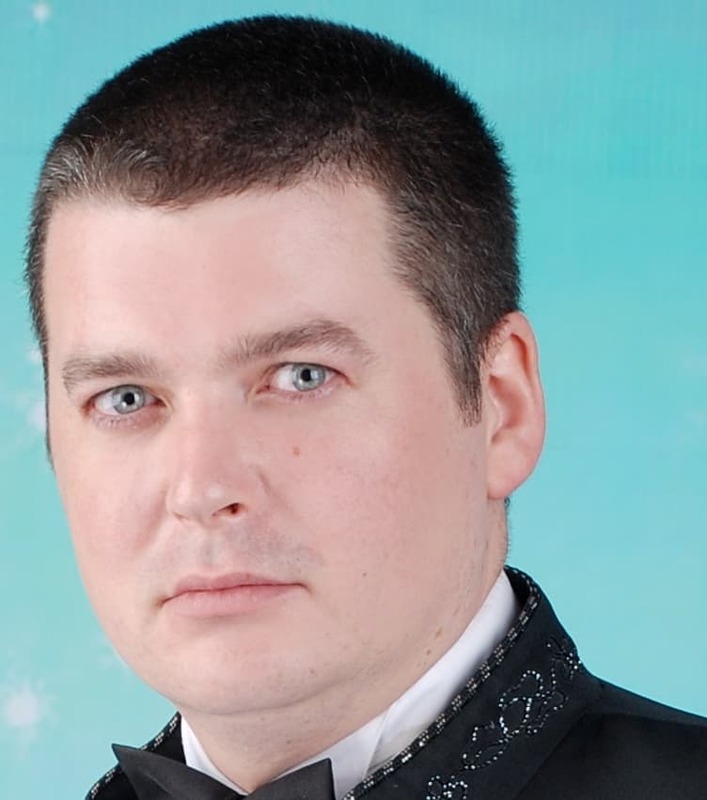 “A disaster recovery plan is an essential IT function and if not in place could result in company bankruptcy or severe reputational damage when data cannot be restored”, Przemysław Jarmużek, technical support specialist at SMSEagle. The financial costs involved are just another factor, he added. What elements of a disaster recovery plan cannot be omitted? What’s the purpose? Few company owners are psychics but things like insurance and DR plans reduce company risk, providing a framework for companies that allows rapid recovery of data and/or replacement of key hardware/software components. Your company network administrator must have more than a fair idea of the software and hardware that are currently part of your network. Therefore, an ongoing inventory list is essential, most of which can be achieved by using network monitoring and auditing tools. These will allow a comprehensive list of computers connected to your network and the software on each. Note that license management is another part of this inventory control process and additional hardware is also added where appropriate. This additional hardware could include multifunction printers, hubs or routers and anything else that is needed for network functionality. Consider this inventory as your shopping list when disaster strikes. It is also worth noting which items have a long lead time (servers, for example). Creating an inventory of spare parts is a good idea and could save the day when disaster strikes. It is pointless to instil fear in company owners about impending disasters. They are as aware of the risks as we are. Each company will have its own risks. Many of these risks are directly linked to its location, whether extreme weather conditions, risks of flooding, forest fires or loss of essential services and equipment. These are the most obvious, but to lapse into management-speak briefly, why not think outside the box? Even the Pentagon has used a hypothetical zombie apocalypse to test their response methods and maintain a working government under these conditions. Consider alien invasions and any other scenario that could conceivably or inconceivably shut down company operations. How long would it take to resume work if each scenario happened? If your company can continue operating during a zombie apocalypse (when essential services are down) then yours is truly a robust DR plan. What actions will you take for each disaster type? Obviously, if there is a flood scenario, the aim is to protect equipment again water damage. Perhaps placing all equipment high above the floor is a solution but how high is necessary? Given that you have drafted a list of possible and impossible scenarios, make sure that your solutions to each one is well documented, logical and possible at short notice. Bite the bullet and purchase or modify the equipment necessary to protect your IT infrastructure. Unfortunately, not all water damage is caused by flooding, perhaps a water tank leaks through the ceiling of your server room and casually destroys the server, firewall and 24-port hub before you can move the server rack. How long will it take you to restore the server and network? Do you have a spare server, firewall and hub? In this scenario, a company is caught unprepared, unaware that water is stored above their equipment. 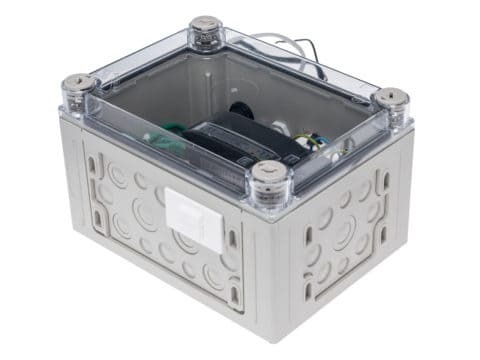 Know where all water is stored and dispersed throughout your building and avoid such problems. From this simple example, you must focus on minimising risk in as many areas as possible. When a disaster happens, the priority is to make sure that all employees are safe and to inform them of current events. Once this task is completed, who leads the disaster response? When a disaster occurs, it is too late to leap into action, assigning responsibilities on the spot. Responsibilities and tactical team members must be assigned as part of the DR plan. In addition, if zombies eat your designated team leader, then the backup must take over. Define employee responsibilities and have backups in place in case they are delayed or incapacitated. This last item is perhaps the most important. However, to be most effective, any interruption in network service should generate an alert to multiple DR team members. This is often achieved by cost-effective (and self-powered) network monitoring devices that utilise a GSM/3G network to send SMS messages and emails as soon as network traffic stops. In conclusion, while the above lists the key elements of any successful disaster recovery plan, it is also worth noting that an untested plan is less than useless. Test your DR plan during off-peak hours to ensure it will work when needed. Test how long it takes to restore all your data from backup. Such activities will ensure that if the worst happens, you and your company will emerge unscathed to resume your company operations. We are happy to announce that SMSEagle NXS-9750 device was awarded the prestigious IT Product award in 2018 of the twelfth edition of the IT Product of the Year contest of ComputerWorld magazine in Czech Republic! ComputerWorld is a publication website and digital magazine for information technology (IT) and business technology professionals. It is published in many countries around the world under the same or similar names. Each country’s version of ComputerWorld includes original content and is managed independently. The aim of the competition is to highlight products with characteristics that distinguish them from competing products of the same category. The evaluation emphasizes the positive difference from the competition and the benefits for the customer. This way, both the innovative products and the products with interesting functional improvements, significantly simplified control or, for example, with an exceptionally favorable price can be awarded to the final of the competition. 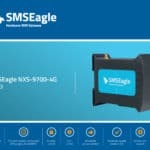 SMSEagle devices can be purchased in the Czech Rep. and Slovakia through our sales partner IT AWACS. Numerous reports, surveys and statistics confirm that commercial entities of all sizes are woefully unprepared for unexpected events. Ivenio IT stated that 54% of companies with less than 500 employees have a disaster recovery (DR) plan in place while 74% of larger companies had one. For smaller companies in the U.S., the figures are even worse with a Nationwide 2015 press release indicating that just 25% of companies with 50 or less employees had an active DR plan. Given the cost of downtime, surely we can do better? We must as, according to Zetta’s infographic and online survey, there is much to improve, not least of which includes usage of the hybrid cloud and the fact that only 45% who experienced downtime issues bothered to make changes to their DR plans after the event. Before delving into the benefits of a logical DR plan, an understanding of its meaning is necessary. Firstly, business continuity (BC) and DR are not the same thing, although there is an obvious overlap in business goals. BC reflects the efforts to avoid loss of service or downtime while DR reflects the response required to resume activities after the worst has already happened. Disasters can include cyber events, extreme weather conditions, fire, flooding, loss of a key staff member, service interruptions from third parties (most commonly electricity or broadband), hardware failure and human error. 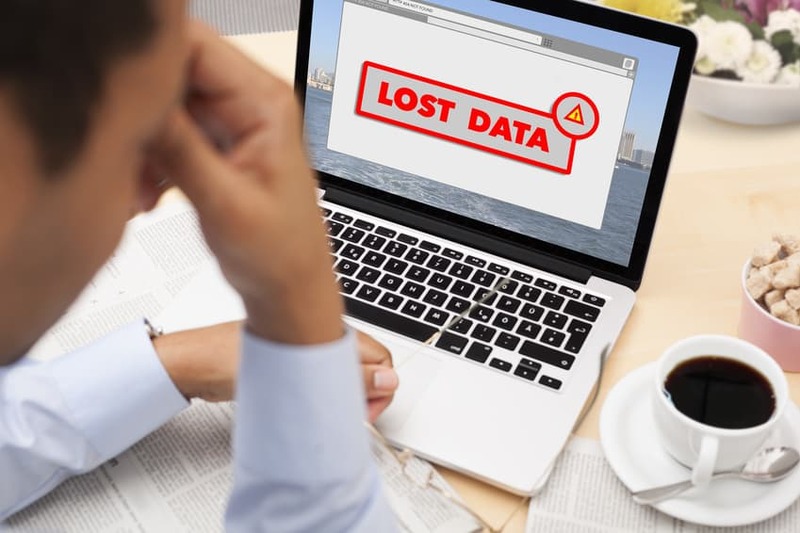 “This list is not exhaustive, and the formulation of any disaster recovery plan must include a risk analysis step in the early stages to identify potential risks that apply to your company or industry. 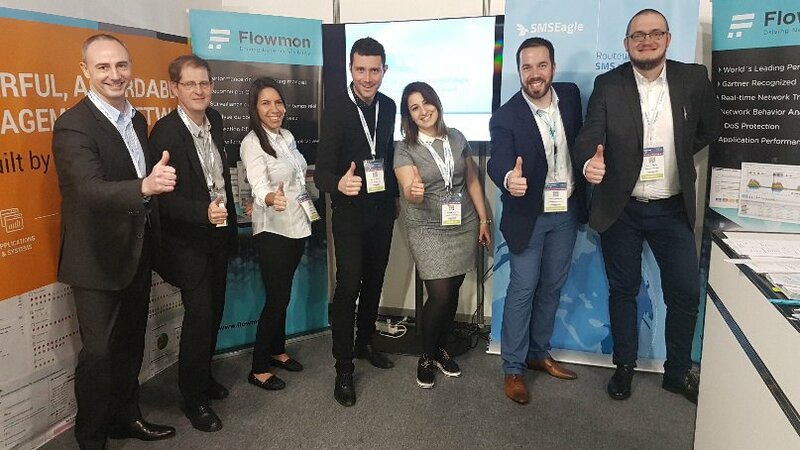 Once risks are identified, you can brainstorm on ways to solve them immediately or at least initiative a process that will solve them in the fastest possible time”, said Radosław Janowski, product manager at SMSEagle. Sounds reasonable, but how about an example? Okay, let’s take a simple example to demonstrate DR in the real world. Company X is located in a commercial district and their primary data server goes down due to water damage from a leak in the ceiling. As the smoke indicates, the server is out of commission and business activities grind to a halt along with the company network. Fortunately, Company X has a DR plan in place. 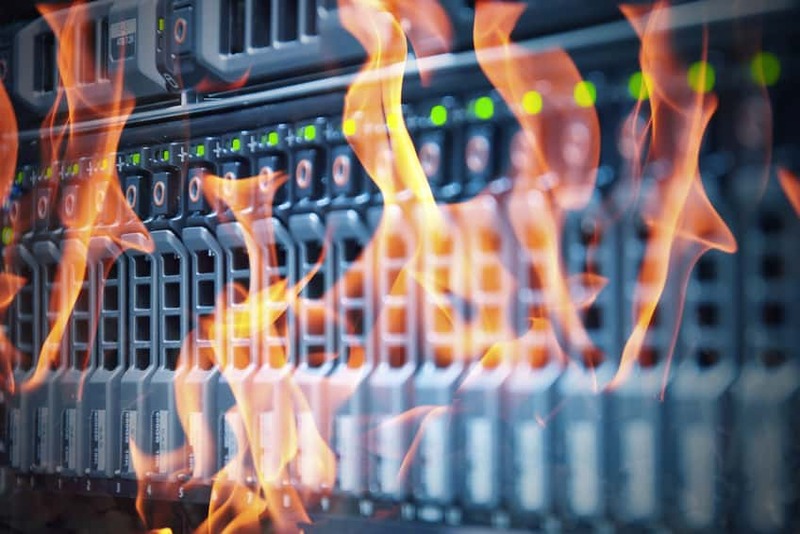 The risk of server loss was correctly identified and the solution proposed was an offsite real-time backup in the cloud (in a data center that is not impacted by local power or service outages). This means that all Company X clients are unaware of a technical issue and business continues uninterrupted. 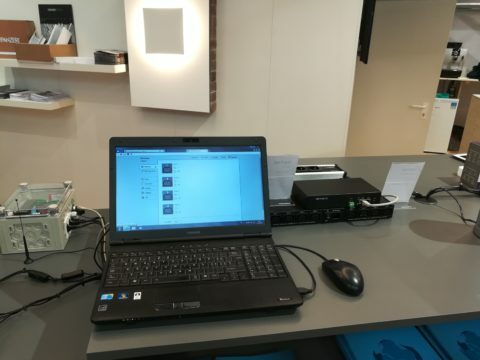 Company X employees are not connected to their local server but they can also continue working using a mobile broadband option. It’s not ideal but gives the IT team (and a plumber to fix the leak) the time necessary to repair the damaged hardware and restore everything from cloud backups. There you have it. DR in action. The disaster occurs, the DR team (usually IT) are notified automatically and the backup solution is in play while the cause and effect of the disaster is fixed. “Automatic notification is key as any delays only increase costs. In this example, if equipment is not moved from under the leak, then instead of a single server, perhaps an entire rack (with hubs, routers, firewalls etc.) is compromised”, said Przemysław Jarmużek, technical support specialist at SMSEagle. Automating alerts is certainly necessary, given that disasters need not occur during office or support hours. When designing a DR plan, brainstorming is necessary. Think about every aspect of your business and the infrastructure that supports it. Think about your service and utility providers. Think of the unexpected. 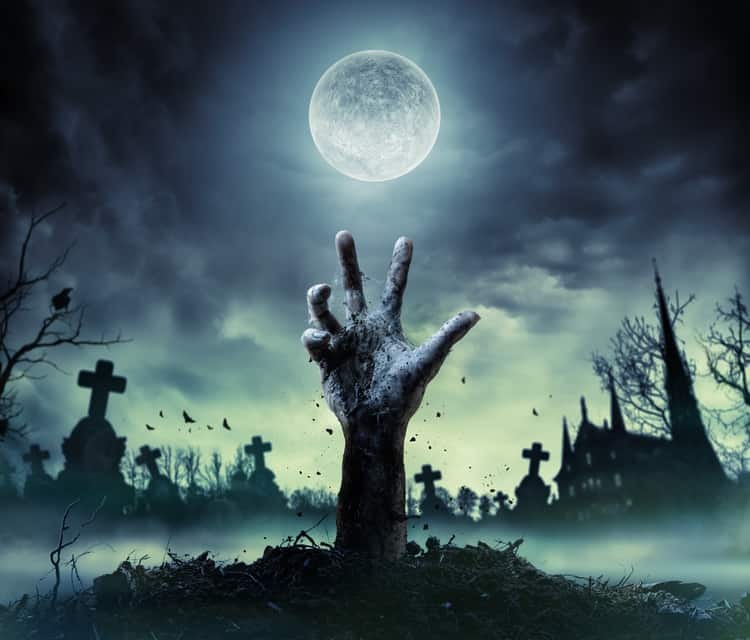 Even discussing a zombie apocalypse has implications that are of benefit in a disaster recovery process, even if it relates to building security. Once you have exhausted ‘what if…’ scenarios, you are ready to offer strategies to solve them. “Preparing for the unexpected is not a wasted exercise but makes excellent business sense.”, said Radosław Janowski, product manager at SMSEagle. Once you define potential threats, you can then create a prevention strategy that includes response and recovery options that evolve as needed. Do your DR (for IT disasters and others) strategies follow this approach? They should. There is a lot of pain in the world today, and at SMSEagle, we believe in giving back in order to help those that may be in less fortunate circumstances. 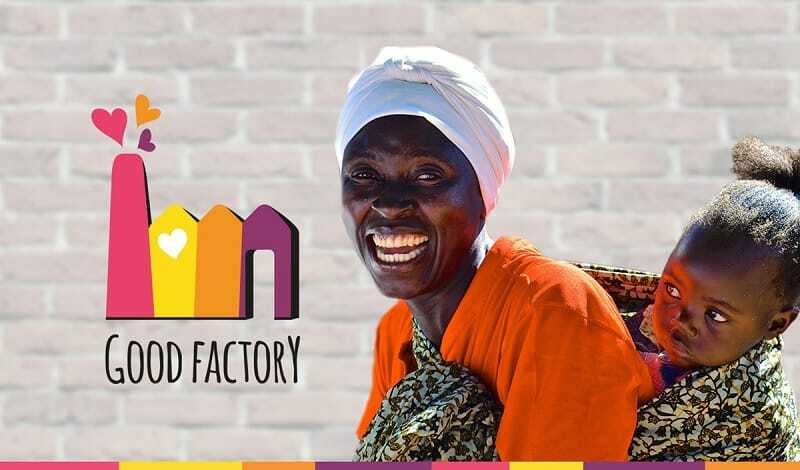 We’ve recently started monthly donations to The Good Factory Foundation, an organization based in Poland that pioneers social good programs in African countries: Rwanda, Democratic Republic of the Congo, Togo, Burkina Faso and Benin. “Being involved with this type of organization allows me to really live my values and share what I’ve gained throughout the course of my life. The Good Factory Foundation produces goodness in those parts of the world, where evil takes the hope, joy, health and life away from people” Radoslaw Janowski, Product Manager for SMSEagle said. “I dared to start the Good Factory, because after I founded the Kasisi Foundation, I started to really believe in people. […] How about, instead of lamenting on how bad this world is, we could change another little bit of it for better?” Szymon Holownia, Founder of The Good Factory said. 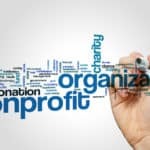 They are indeed changing the world for the better – the foundation has already accomplished many feats of social good, many which include the fight against disease and hunger in their countries of focus. Here’s what they’ve already accomplished, and what we want to be a part of. The Good Factory Foundation has several objectives, but they all point to a few key themes – the support of human rights, medical assistance, and the proliferation of education, all of which are goals we believe in here at SMSEagle. In 2016 at the Hospital in Democratic Republic of the Congo, the staff provided ambulatory help to 8127 patients, 4354 people were hospitalized. There were 308 surgeries and 151 surgeries, 6476 people were cured of malaria, 722 children were helped to come to the world, including 179 by caesarean section. At the feeding center in Democratic Republic of the Congo 402 children were cured from the acute phase of hunger, 899 from the moderate phase. Every week the place has about 220 children. At Hospice in Rwanda, 25 patients underwent long-term palliative care. 3500 people benefited from the help of a pharmacy in Saoude, north of Togo, where they received the necessary medicines. In Togo, 167 children were paid for school expenses. In the village of Akata Dzokpe in Togo, 30 leprosy patients were provided with medical care, medicines. As a business that is committed to social good, we look forward to being a part of more acts of kindness like this, and look forward to the positive change they can help bring to parts of the world that need it most. Ineltec is a Swiss trade fair that has been supporting the electrical engineering and building automation industry for 50 years. In recent years, building automation has become a key technology when it comes to building, modernizing, comfortably, safely and energetically. 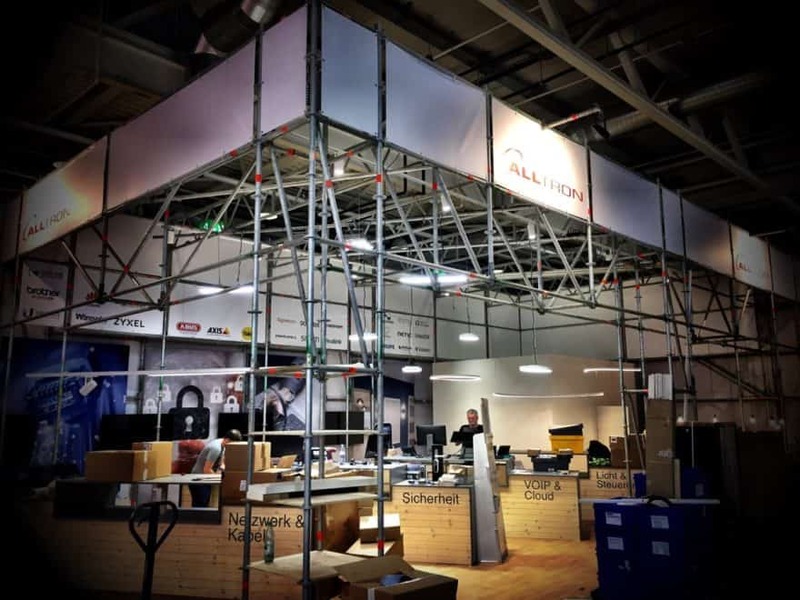 This year on 12.-15.9.2017 at the exhibition in Basel, Switzerland, SMSEagle devices were presented for the first time at the fair in the booth of our Swiss Sales Partner Alltron. Pushing one of the Buttons -> Send an SMS to a cellphone: “Alert, Button 1 pushed”, “Alert, Button 2 pushed”. So we were able to show that an sensor can be connected to the device and that it can send an emergency notification for example if temperature is to high/low in the server room. Network monitoring is configured with sample NETIO device. When the network connection failed for 30 sec, an emergency SMS was sent. This is just a few of possible usage scenarios that SMSEagle devices could support. It allowed to present the device versatility and ability to work well in different application fields. Digital marketers are constantly looking for new ways to present their products and services to existing and potential customers. While this attitude to adopt the latest and greatest innovations, whether it is big data, machine learning or virtual reality, is to be applauded, the reality is that older yet effective methods or technologies are often neglected. One example of this is SMS (Short Messaging Service). Readers of this post should bear in mind that is not a self-serving statement for SMSEagle (who incorporate SMS features into their products as a means of reducing network downtime by ensuring alerts are made when local area networks (LANs) go down) but instead a means of pointing out that SMS is not yet dead and offers advantages over other methods of communication. When it comes to mobile marketing, would it surprise you to learn that SMS is one of the top four tactics used? However, despite this fact, according to Gartner’s 2016 Digital Channel Survey, 61 per cent of digital marketers don’t use it and just a third plan to invest in SMS in the next year. Strange, when Gartner’s own research director, Charles Golvin, stated that, “SMS remains an effective, yet underutilized, mobile tactic among marketing leaders and is particularly valuable when used in conjunction with mobile techniques such as wallet, web and native applications to orchestrate a deepening level of customer engagement.” Considering Gartner’s global position in the technology and research advisory field, perhaps he is worth listening to? Social media is of practical benefit in mobile marketing but can only target those with Internet-ready smartphones, tablets or laptops. 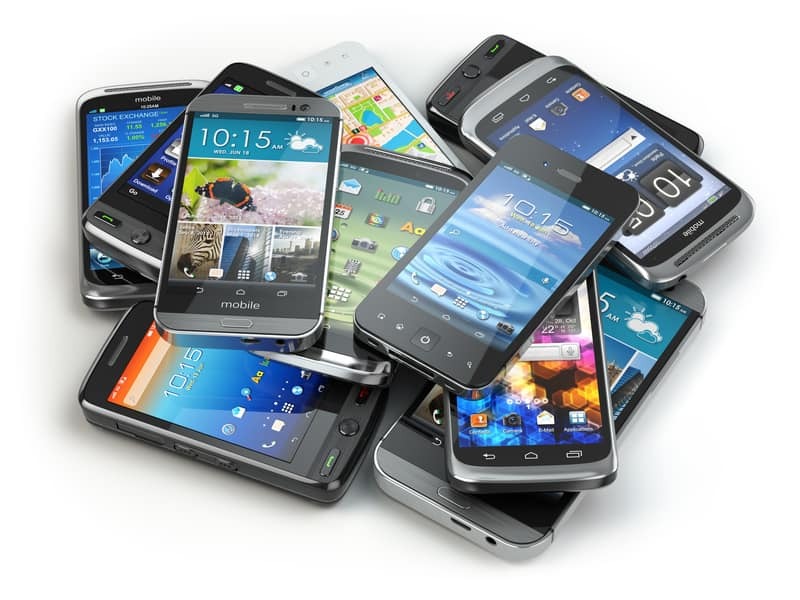 SMS caters for everyone with a mobile phone. If you can make a call, you can receive an SMS. This is the reason many TV shows allow public voting by SMS, to maximise the available audience and ensure that everyone can vote. 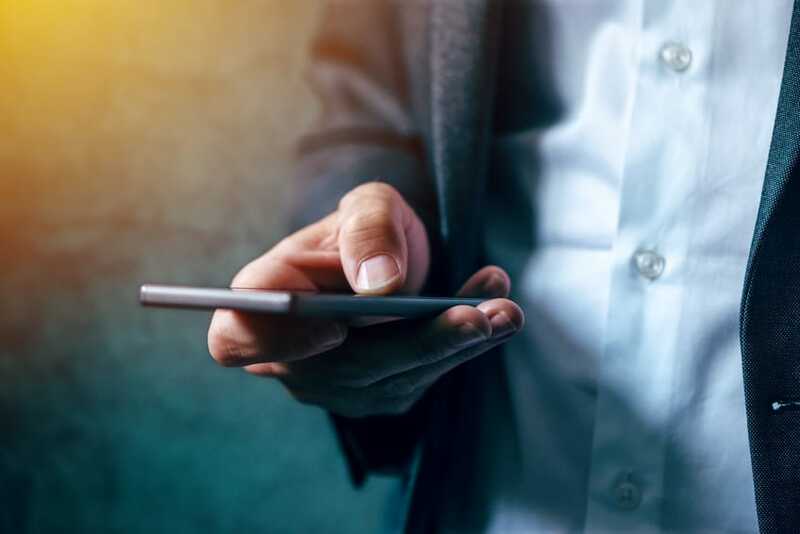 Companies dealing with developing countries know only too well that they cannot assume everyone has a smartphone and usually have several ways to connect with their audience, with SMS a primary method. One of the primary aims of marketing is engagement and without it marketing is pointless. How many of us ignore banner ads, install ad blockers and actively avoid unwanted marketing messages on social media and by email? In comparison, how many of us will ignore an SMS? With opening rates of 98 per cent claimed in various surveys, SMS messaging ensures that the message is read and for the most part each message is opened within three minutes after an alert is received. If the message is of value (the subject of another story) then the likelihood of additional interaction is increased. Obvious but still worth stating, SMS has no carbon footprint. While this may also be true of other online methods, with SMS there are no design elements involved. In addition, the same cannot be said for direct mailing campaigns, brochures, flyers and other offline methods that are not eco-friendly, at least without recycling programs etc. A pertinent text message with a maximum of 140 characters takes far less time to create than launch pages, popups and other methods that require graphic design expertise. As for the recipient, it’s easy to subscribe to an SMS list using a shortcode and most jurisdictions will enforce convenient opt-out methods for users that wish to unsubscribe. How can marketers ensure their message is delivered to the recipient quickly? As we all know, most of us are glued to our mobile devices. The same is not true of other methods, emails can go unread for days and mail is classified as junk, often ending up in the bin unopened. Just like our keys, we notice if our mobile phone is not to hand, making SMS the best way to ensure that each user received the message promptly. Even when charging our phones are within reach and we rarely ignore an SMS alert but social alerts don’t create the same sense of urgency. SMS feels more personal as it’s linked to your phone number, which is not widely dispersed. Marketers know the message will be read and will attempt to personal each message accordingly as it is assumed that each recipient is willing to receive information from their chosen companies. Loyalty programs and special offers are often managed through SMS, for example. While email and social is free, SMS does incur a charge of a few cents in some areas but many carrier plans offer free SMS or the ability to purchase SMS credits in bulk. Your selection of an SMS plan will depend on the size of your target audience but given the potential return in active engagement, can you really afford to ignore SMS based on some deeply held conviction that the technology is obsolete? In conclusion, while SMS has indeed been around for more than 20 years, it is still a valuable addition to the marketer’s toolkit. No one can claim SMS alone will be sufficient for all your marketing needs but perceptive marketers will understand that it can indeed be a valuable addition to a targeted marketing strategy, especially when timing is key (sending early morning or lunchtime updates for example). By incorporating SMS, digital marketers have nothing to lose and everything to gain. What do you think? Is SMS marketing adoption worth it or do you have an alternative that caters for those who may not own a smartphone? As a network administrator, your role is a complex one but your primary task is to keep the network active and ensure that all users have smooth access to all network assets. You may have to conduct performance tests, hardware and software inventory audits (including virtual machines) and monitor areas from UPS battery status to current website connections. Configuration and maintenance take up more of your time. A variety of monitoring tasks are necessary and you perform all of them using a combination of enterprise solutions, third-party software and open source tools. Where does SMS fit into this high-tech environment? In technology terms, SMS has been around a long time (since 1992) and many falsely believe that it is no longer of value today. This is not the case as the technology is still used in many practical applications, in emergency alert systems, in marketing and, of course, it also has valuable applications in network monitoring. Sometimes technology fails, an unfortunate fact of life, but true nonetheless. When your network goes down, your business will grind to a halt in most cases. A power outage, for example, will typically mean that all network communication will cease from that moment on. Uninterruptible power supplies (UPS’) may delay the inevitable for a few hours and generators will ensure local access continues. However, if the power loss is not confined to your building but instead a blackout affecting your neighbourhood, city or county, then you can assume your broadband connection has been lost. If this occurs during office hours, when IT staff are onsite, then normal service will resume as soon as the power returns. However, what happens if the outage occurs outside office hours and you have an e-commerce store that relies on your servers and a high-speed broadband connection? You may have scheduled backups or support sites that have been interrupted. In such a setting, it is important that service is resumed quickly. In most cases, you will be unaware of the outage until the start of the next working day. Can your company afford such a delay? Consider the financial and reputational impact of this downtime. Of the 400 mid to large U.S. companies surveyed, an average of five downtime incidents take place each year, with costs for each incident ranging from $1 million to $60 million. Luckily, it is possible to eliminate some of the risk. If your network goes down, response time is the most important factor as solving the problem quickly reduces downtime costs. Sending an alert to your IT admin may seem an obvious solution but how is this achieved? An SMS gateway is a way to build in some form of redundancy to your network alerts. If your network is down, a standard email or network alert will not work as… the network is not operational due to loss of power or loss of connection. 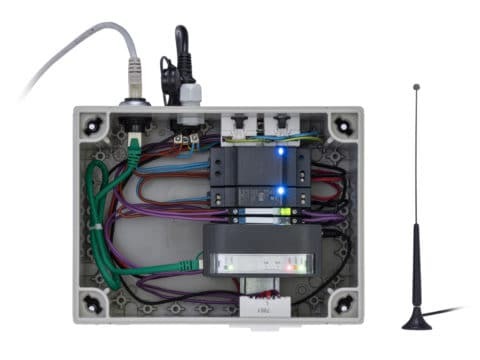 An SMS gateway has its own power source, a SIM card to allow cellular network access and preconfigured alert messages. Once the gateway detects connectivity loss, it sends an SMS to the network administrator. It can also send emails if a 2G+ data connection is available. 2G is slow but functional. SMS is effective for several reasons – it works on all mobile networks (from GSM to 4G) and on all mobile phones. In addition, the recipient is more likely to respond quickly to an SMS alert than any other form of electronic communication. Given the number of tweets, beeps, pings and other audio notifications on smartphones, it is surprising that SMS still retains top status in terms of response rates, but marketers confirm that SMS creates a genuine sense of urgency for each received message. Therefore, your network administrator is sure to act quickly after receiving an SMS alert, and with any luck, can get your network operational as soon as possible. Companies with SMS gateways in place can relax, secure in the knowledge that essential connections are monitored and that once inactive, an alert is sent out to the responsible parties. However, alerts alone are not enough to ensure network uptime. As mentioned previously, technology will fail and a comprehensive inventory of spare parts is necessary to mimimise network downtime. Human error and cybersecurity threats are other issues that alerts will not solve–but IT and security awareness training for all employees will not only mitigate these threats but also reduce the risk of network downtime. In conclusion, when network downtime occurs, you need a rapid response team. Given the cost of downtime to your company, it is worth ensuring your network administrator receives immediate alerts when the network fails. This not only makes financial sense but is a no-brainer for maximising business continuity and preventing reputational damage.